Feeling comfortable in a new destination, whether you’re just passing through on a short visit or resettling in a new place, can take time. You need to get to know the ins and outs of where you are and get used to things ranging from climate and customs, to food and public transit. In addition, there are usually some unique quirks and local ways of doing things that visitors or new residents might not pick up on right away. With that in mind, it’s time to feel at home Toronto with some tips and insight into mistakes to avoid in the city. 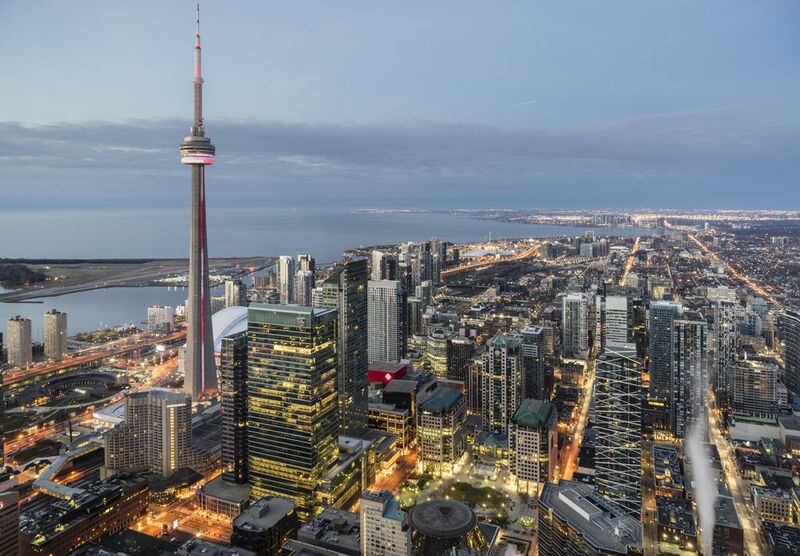 It’s true that a large majority of Toronto’s main tourist attractions can be found in the downtown core, making that seem like the most logical place to base yourself. But you can save yourself some money and feel more like a local by opting to stay in one of the city’s many unique neighborhoods outside of downtown in an Airbnb or vacation rental rather than a big hotel. The trick is to choose a location near a subway station, so you can easily get where you want to go during your stay. The caveat to this of course, is how much time you’ll be spending in Toronto and whether or not your preference is to stay in a downtown hotel. If so, there are plenty of great options. But if you have time and want to see the city at a more relaxed pace, it can be beneficial to stay somewhere beyond the downtown core. Plus, you'll be outside of the traffic and congestion that often accompanies a stay right downtown. Toronto is filled with fantastic things to see and do, but not all of them are downtown. One of the best ways to really get a feel for a new city is to explore its neighborhoods, and Toronto is no exception. So whether you happen to be staying downtown or not, in addition to checking out some of the city’s biggest and brightest attractions, make time for simply neighborhood-hopping to see more of what makes the city so vibrant and unique. Follow your walk through the Art Gallery of Ontario with an exploration of Chinatown and Kensington Market, for example. Or make your way west to visit High Park and shop your way through quaint Bloor West Village. A few other worthwhile areas to put on your list include Little India, Liberty Village, Parkdale and the Junction. While there’s nothing wrong with enjoying food and drinks from a chain, Toronto has a food scene well worth diving into. Every neighborhood is filled with appetite-inducing options, from world-renowned restaurants to small, family-run eateries. And due to Toronto’s multicultural population, just about any cuisine you’re craving can be found here, from Ethiopian and Greek, to Italian, Lebanese, Italian and so much more. Malls are great for one-stop shopping and Toronto is home to some fantastic shopping centers like the Eaton Centre, Yorkdale and Sherway Gardens. But don’t make the mistake of sticking to malls if you plan to shop your way through the city. Small, independent boutiques and unique places to shop abound depending on what area of the city you visit, making it easy to find souvenirs that you might not be able to find anywhere else. Good options include the Distillery District, West Queen West, Roncesvalles, the Junction, Leslieville and for the best foodie finds, St. Lawrence Market. Anyone coming to Toronto in the winter is going to have to be prepared for some cold wind, especially when it comes to spending time outdoors downtown where sky-high office buildings can create wind tunnels. It would definitely be a mistake to visit Toronto without the proper winter attire. Layers make the most sense for anyone who will be going between the indoors and outdoors to avoid getting too hot when inside. It can also snow a lot in Toronto, so a solid pair of boots is also a must-pack during a winter trip. Make sure you check the weather forecast prior to your trip so you know what to pack. Traffic in Toronto, like most major cities, is often congested, and nowhere is that more glaring than downtown. Rather than spending half of your vacation sitting in traffic and the other half trying to find a parking spot, leave the wheels at home if you can. Sometimes it’s just easier to drive, but just be aware that traffic is likely and allow yourself extra time to get somewhere if you do take the car. Getting around the city can be easily done via Toronto's public transit system, which gets you almost anywhere you need to be, minus the hassle of driving and finding parking. See the next tip for more information about taking public transit in Toronto. Spend enough time in Toronto and you’ll hear more than a few complaints about the TTC (Toronto’s, public transit system). And while some of those complaints are valid, on the whole, the TTC is an efficient option for getting around the city and much cheaper than relying on taxis or paying for parking. If you plan to be out and about for a full day of sightseeing, a day pass will run you $12.50. If you get one on a Saturday or Sunday and have other people in your group, a family pass is good for one adult and not more than 5 kids (13 to 19 years of age); two adults and not more than 4 kids (13 to 19 years of age); or two adults. Trying to save money while visiting Toronto? You don't have to skimp on sightseeing. There are many options that are either free or budget-friendly when it comes to things to do in the city. For example, you can visit the Art Gallery of Ontario (AGO) on Wednesday evenings between 6 and 9 p.m. for free. The same goes for the stunning Aga Khan Museum, which is also free Wednesday evenings between 4 and 8 p.m. In addition, the Bata Shoe Museum is Pay What You Can (with a suggested donation of $5) on Thursday evenings between 5 and 8 p.m. There are also many other cheap and free things to do in Toronto that would be a mistake to miss out on.